The CPMR Islands Commission’s took part in several key workshops during this year’s European Week of Regions and Cities (EWRC), held in Brussels from 9-12 October. 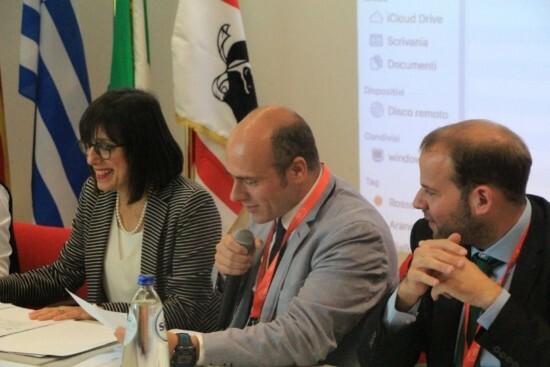 CPMR Secretary General, Eleni Marianou, represented the CPMR Islands Commission at this event, organised and moderated by the European Commission’s Directorate for Urban and Regional Policy (DG REGIO). 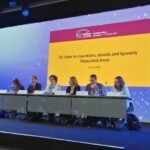 The event explored the circumstances faced by regions with specific territorial features, such as islands, mountains or sparsely populated areas in EU policies. Ms Marianou stressed that existing provisions targeting island territories should be improved and presented key proposals to establish more tailor-made arrangements in post-2020 Cohesion Policy, on the basis of the Islands Commission’s policy position, adopted in Bastia, Corsica in July 2018. 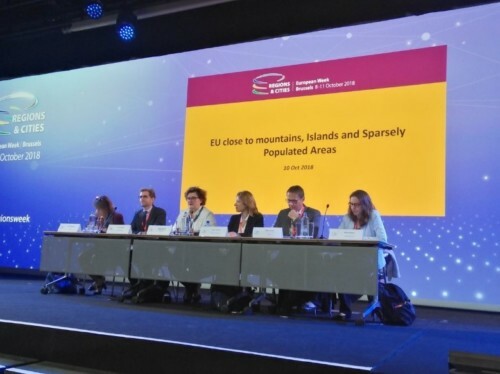 The CPMR Islands Commission (IC) was invited by ESPON to this interactive seminar to discuss the issues of demographic change, accessibility and natural and cultural heritage in territories with geographic specificities. The meeting included representatives from local and regional authorities, DG REGIO, EU think tanks and research centres. The IC expressed its views on the main challenges and opportunities for EU islands regarding these issues, highlighting some key initiatives and projects implemented at local level in that respect. This workshop also provided an opportunity to share their views on the post-2020 Cohesion Policy package, with stakeholders coming from other territories with geographic specificities. The output of the discussions will directly feed into the ESPON BRIDGES study, planned for release in April 2019, which will provide key recommendations for enhanced policy-making in each type of territory, including island regions.